The very first and the oldest activity of the Mahajan panjarapole started in the year 1883 and continuing till this day. The members of the community can take the opportunity to perform poojas of Gow MATA,feed them with cattle feed,dry grass,green grass etc. Thanks to the strong religious traditions and sentiments of the community. Even the road were the Gowsala is situated is named as panjarapole lane by the corporation of Cochin. 1908 was a turning point in the activites of Mahajan when it stepped into the educational sphere by starting a school in a small way in a rented building. In 1921 Mahajan started the present Gujarathi Vidhayalaya Upper Primary School in its own building. With this education became Mahajan’s main activity. Previously the medium of instruction was Malayalam. But now Gujarati Vidhyalaya Upper Primary School is a government aided recoganized English medium school with gujarati as additional language for gujaratis and Marvaris. In the year 1921 the new building was inaugurated by his Excellency Diwan Bhadur Sri. Vijayaraghavachariya then Diwan of cochin state and the foundation stone of the new building was laid by Shri Kantilal Raichand Mehta and the extension of the new building was inaugurated by Sri.Moraji Bhai Desai in the year 1966. Present strength of the school is 950 students, Headmistress of the school is Smt.Ushakumari. Along with this LKG and UKG classes ”SMART KIDS” is also run by the U.P School, were a strong foundation is being laid in the upgrowing child. 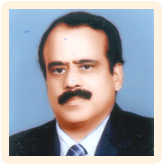 In the year 1963 Mahajan started an unaided but recognized English medium high school upto SSLC and now up to +2. This school is one of the two schools in kerala where gujarati language is recoganized by the board of examination, kerala as one of the additional languages upto SSLC. This high school is considered one of the best schools in this area securing 100% pass in SSLC examination every year. There are more than 1300 students of all castes, creed and religion studying in these schools. This school is inaugurated by in the year 1962-63 by Sri.R.Shankar , the honorable chief minister of kerala. Head Mistress of the School is Smt. Nima Remalo. However the need to have an instiution for the very basic education as keenly felt. So in the year 1983 Mahajan founded Sharda Mandir, a lower Primary English Medium School from L.K.G to standard IV With the help of Sri Kishore Bhai Shamji Kurva and Sri Srinivas Gupta & Radhaballabh Gupta and many other philanthropists members of the community for this nobile cause. Present strength of the school is 192. Head Mistress of the school is Mrs. Avis Merila Samuel. Seth Ram Bahadur Singh Gujarati College was started in June 1999 in response to an urgent need for more institutions of higher education in the busy commercial town of Cochin.The college was established in the unaffiliated sector with one Predegree batch (Commerce) and one B.Com batch and was the fulfilment of Shri Cochin Gujarati Mahajan's desire to enter into the field of higher education. Shri Cochin Gujarati Mahajan is more than a hundred and twenty five years old. Its members are predominantly businessmen. However, doing business was not their only preoccupation. They have always been aware of their social obligations and responsibilities. So they started an aided English Medium UP School way back in 1921and later an unaided English Medium High School in 1963.The Mahajan is also running two pre-primary institutions. All these institutions are doing very well. It is against this rich experience of managing educational institutions, the Gujarati Mahajan decided to venture into the field of higher education by starting Seth Ram Bahadur Singh Gujarati College. Late Shri. Ram Bahadur Thakur ,the leading businessman of Jew town ,came forward and contributed the most for starting the college. The Mahajan had been trying to get the college affiliated to the M.G.University right from its inception. Thanks to the bold decision of the then Government of Kerala in liberalising the education sector from rigid rules, Mahatma Gandhi University granted affiliation to the college to start self financing degree programme from the academic year 2002-03. It is the desire of the Gujarati Mahajan to start innovative courses in future and make this institution a centre of excellence. All the above degree courses are 3 year (6 Semesters) programme based on Choice Based Credit &Semester System of M.G. University. Importance of computer studies cannot be underestimated in the changing global scenario. Therefore computer study has been made compulsory for two years to every student who joins the college for the degree courses. He can choose any module of his liking- from fundamentals to advanced programme and must undergo training compulsorily at the JMSGICS(Jitu &Mukesh ShahGujarati Institute of Computer Studies) attached to the college. The College has tie-up with many organisations/Companies who visit the college every year to recruit meritorious students to man various jobs. The College classes, the computer labs 12000 sq.ft. Takes the courtesy of welcoming you to the world of IT. We at, J &MSand ICS aspire to be a part of the great potential thrown open by unprecedented growth of Information Technology,with our primary focus oncomputer education. The staff at J & MSand ICShas been highly trained to meet these requirements. We at J & MS and ICS have designed courses to impart education even to people whoare illiterate. After the successful completion of the basic courses the institute guides the students to take up higher studies. Weimpart quality education at low cost. We ensure you satisfaction to the utmost level. Placement in reputed companies is assured to really meritorious students. Mahajan purchased Gujarati Bhavan in the year 2004 which consist of a/c double bedroom bath attached a/c and non a/c rooms and dormitory, 24 hrs hot water facility, car parking facility is available. In the year 2007 october 21st Mahajan demolished the old building and constructed a shopping complex in the heart of the city. Foundation stone of the building was laid by Sri. Vasram Bhai Patel. Mahajan has also formed a sports club to develop the sporting skills of its members. Every year tournaments are conducted like cricket match with stich ball & soft ball , Vollyball ,hand ball, caroms, chess etc. were all young and even elders also participate. During vacation club will be open through out the day. Mahajan manages a crematorium were no charges is levied on members for cremating bodies . Necessary items like firewoods, coconut shells, clothes are also provided. But in the year 2008 this traditional system was changed and it converted into a gas –based crematorium, here LPG gas is also provided. Sri. Rasiklal, R.Shah Family and MARIWALA Foundation Trust and many other members of the samaj has donated generously for converting the crematorium into LPG gas based. Mahajan is also engaged in the activity of the Pigeon shelter where daily grains are being fed by the people.